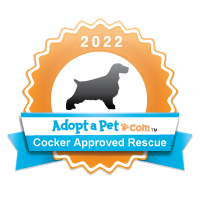 We love volunteers and at Cocker Spaniel Resources and we need lots of them. There are lots of great ways to get involved by becoming a volunteer and here are a few of our current opportunities. Volunteers are needed to help transport one or more dogs or cats to and from adoption events. Our precious animals make frequent visits to the vet and to caring homes. We can always use help with transportation to these locations. It’s essential to make sure all our dogs and cats are groomed regularly. Having great grooming volunteer resources available is a vital component of our care. We like our animals to be spruced up for events. We can always use extra hands in helping us get ready for these events. We have a great partnership with Petco in Stillwater MN and West St. Paul, MN and we help provide assistance for the cats that come into their care. CSR has lots of fun going to events, but events take lots of work. We welcome and appreciate all the extra hands who can assist with special outings and activities of all kinds. Another way we raise resources is through selling items at Events and on eBay. If you are an avid online shopper or just enjoy meeting/greeting and selling great stuff we could sure use your help to raise funds through these opportunities. Ready to lend a helping hand (or paw)? Please take a few minutes to download, complete and submit our volunteer application right here.